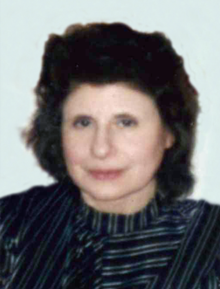 D'Alessandro (Smith), Adeline "Lena" of East Boston passed away on April 3rd. Devoted mother of Robert Smith and Denise Rich and late husband Robert. Cherished sister of Mary, Jerry, Anthony, Gilda, Elena, Anna and the late John, Christine, and Joseph. Adored grandmother of Shelia, Stephanie, Derek, Robert and the late Timothy. Dear great-grandmother of Caitlyn, Jadzia, and Keira. Family and friends will honor Adeline's life by gathering at the Ruggiero Family Memorial Home, 971 Saratoga Street East Boston 02128, on Monday April, 8th from 8:30AM to 9:30AM before leaving in procession to Sacred Heart Church, 45 Brooks Street East Boston 02128, for a 10:00AM funeral mass honoring Adeline's life. Services will conclude with Adeline being laid to rest at Woodlawn Cemetery.